Did you know you can now purchase an admission form online? Click here to get started. Our second Open House of the year takes place on Saturday the 13th April 2019. This is the perfect opportunity for you to satisfy your curiosity, allay your fears and register with us in absolute confidence. Our Open House enables you to meet our academic staff , administrative staff and senior management. You will also get to see the school in full swing, with lessons being taught, sports underway and members of our SRC available to host you. Our doors open at 10:30am with the day officially commencing at 11am. We have several presentations and events planned that you will not want to miss so please be sure to arrive in good time. To confirm your attendance, or if you have any queries you would like addressed please email b.odanye@oxbridgecoll.com. We look forward to welcoming you on the 26th. Our second Open House of the year takes place on Saturday the 27th April 2019. This is the perfect opportunity for you to satisfy your curiosity, allay your fears and register with us in absolute confidence. Keep an eye here for updates on dates for 2019 entrance exams for both Lagos campuses (GRA and Lekki). Please submit your admissions forms at your earliest convenience to qualify for Saturday’s paper. You can complete your admissions form online here, or visit us to complete in person. Please arrive at 8am for an 8:30am start. Don’t forget your stationary items. Science students please be aware that you will require a Scientific Calculator. Face to face interviews will be held after the exams, as a final screening stage, to ensure the suitability of the students. (The majority of interviews are held on the same day as the entrance exams, but if this is not possible the dates will be conveyed at the examinations). Due to increasing demand, we are pleased to confirm that we will continue to host entrance exams in Abuja and Part Harcourt for September 2019 admission. Please check here for updates regarding our Abuja and Port Harcourt entrance Exams. If you are a Facebook user why not “Like” us? You’ll get the latest information about entrance exams by subscribing to notifications on our Facebook page. We’re also on Twitter and Instagram. Follow us on either of these platforms for the latest news on upcoming events. Please keep an eye here for updates regarding our entrance exams. It gives me great pleasure to welcome you to Oxbridge Tutorial College ─ Nigeria’s First and Leading Sixth-Form College. Thank you for taking the time to visit our website. By the end of this address, I trust you would be convinced of our credentials and track record of success. Oxbridge Tutorial College has been in operation for 25 years. In that time, we have built a reputation for delivering unparalleled, quality education that combines academic and co-curricular pursuits. This holistic approach maximises the potential of all our students. In order to achieve an academically rigorous education for all students, Oxbridge Tutorial College has diligently acquired its own purpose-built facilities, a cohort of highly qualified teachers, as well as a wide range of student support services and an array of impressive student enrichment programmes. Hence, we offer a choice of seven different programmes or pathways, which comprises Cambridge A-Levels, Accelerated A-Levels, Cambridge AS Levels, NCUK International Foundation Year (IFY) programme, an American pathway, a Canadian pathway and the Medical Foundation Pathway. Furthermore, we prepare students for entry into top universities across the globe via the Oxbridge Mentoring Scheme tailored towards Oxford, Cambridge, Russell Group and Ivy League universities. Likewise, our students are tutored and provided with the opportunity to take SAT, TOEFL and Cambridge ESOL on-site, making us a one-stop centre for preparation to study at a university abroad. At Oxbridge, we are proud of the consistently strong academic results achieved over the years. In 2017, the British Council introduced its ‘Outstanding Cambridge Learners Award’, and Oxbridge Tutorial College students carted away over 12 awards, across various subjects. Hence, our school became one of the top receivers of the British Council awards. Indeed, one of our students achieved best in country ‘across four subjects’ at AS Level. Also, in 2016, our college was recognised for coordinating the integration of international learning in the curriculum by the British Council International School Award. Our strong links with international university partners have made it much easier to successfully place over 80 percent of students in a university of their choice. Also, our emphasis on developing strong values and character has enabled our students to enhance their personal development, which has further opened doors of opportunities, especially in terms of students obtaining a scholarship. 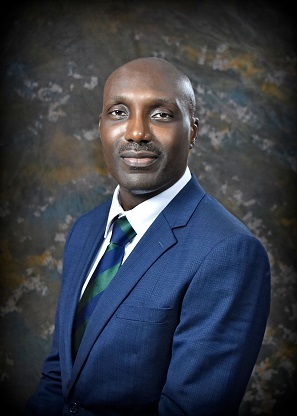 We are proud of our achievements and intend to maintain our position as the first and leading sixth-form education provider in Nigeria, by consolidating on our success to date and seeking new horizons, such as partnerships that will enable us place more students in a destination deemed desirable. As your child continues his or her academic journey, I look forward to welcoming you at our College. I am delighted to welcome you to Oxbridge Tutorial College. 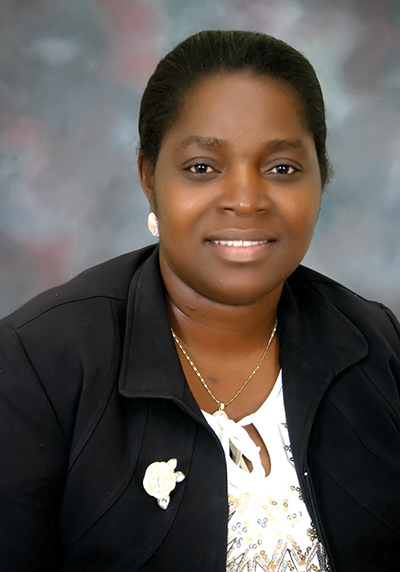 It is a privilege to be the Head of School of Nigeria’s premiere sixth form college renowned as a centre of inclusive excellence and exceptional education in our times. We strive to fully prepare our students for successful pursuit of higher education at locally and internationally recognised institutions. I passionately believe that all students have the potential to fully succeed in life, which is enhanced by the excellent support they receive here in addition to various other experiences they gather while with us at OTC. Our students have consistently achieved excellent results that have given them the leverage to progress to some of world’s top Universities in the UK, Canada, USA, Dubai, Australia, Nigeria and beyond. We at OTC have come to understand that progressing to university and subsequently sustaining a successful career is more than grades. Our students enrichment programme with its robust curriculum content, leadership training and various international and local learning trips are structured to give students wider experiences and opportunities to develop excellent soft skills for employability. Each of our students is able to build an individual learning plan, keep gratitude and reflection jounals, and maintain an organised portfolio of useful academic documents that would help them share in the responsibility of attaining academic excellence. Our students benefit from a wide range of 21st century teaching and learning tools, they have access to highly skilled and qualified teachers in various fields of discipline, trained to give quality academic support to students aspiring for international education. Students are given the opportunity to get involved in a wide range of club activities and electives. Our college is a vibrant and social community where students are encouraged to develop their passion and interest. From being a part of a house group, students can join the debating club, college choir/music club, to getting involved with sports, press club tagged “Oxpress”, science club and drama club. As such every student is able to live the OTC vision. We have fostered a unique partnership with the NCUK for our foundation programs which has existed for a little over 10 years. They have not ceased to be impressed by our consistently excellent delivery. We also have an existing relationship with Insight Education an organization focused on working with our students, taking them through developing knowledge and skills needed to get into Oxford and Cambridge universities in the UK. To help our students get into medical school in the UK we have an existing relationship with Bellerbys College. We have recently launch a new partnership with the Dublin International Foundation College for our second Medical pathway, where students spend one semester with us at OTC and then proceed to Dublin, Ireland to complete the remaining two semesters. It is interesting to know that our inaugural class of 2016 students for the DIFC Medical Pathway did brilliantly well and have proceeded to DIFC to complete their program this January. With high quality teaching in a supportive environment, OTC prides itself on having the right course for every student; whatever their academic needs or ambitions, to ensure each student achieves their full potential. In return we expect students to work hard to take an active part in college life. I hope you decide to join us, as you expect to be challenged, stimulated and with utmost certainty of our support towards your reaching your desired goals while having an enjoyable and rewarding experience. I look forward to welcoming you to OTC and working together with you to help make your future a successful and exciting one. 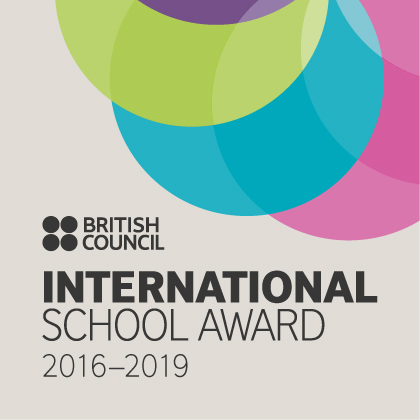 The British Council International School Award started in 1999 to recognise schools leading the way in instilling a global dimension into the learning experience of children and young people. The schools received the prestigious award, in recognition of their work in implementing core teaching and learning skills that shape global thinking and build global citizens in the classroom where learners are taught to shape the future for themselves and future generations. In January 2017 Oxbridge Tutorial College was one of four schools honoured with this prestigious award.